Razer recently got into smartphone department with their Razer Phone. There are some buyers which may be wondering about the durability of the device. 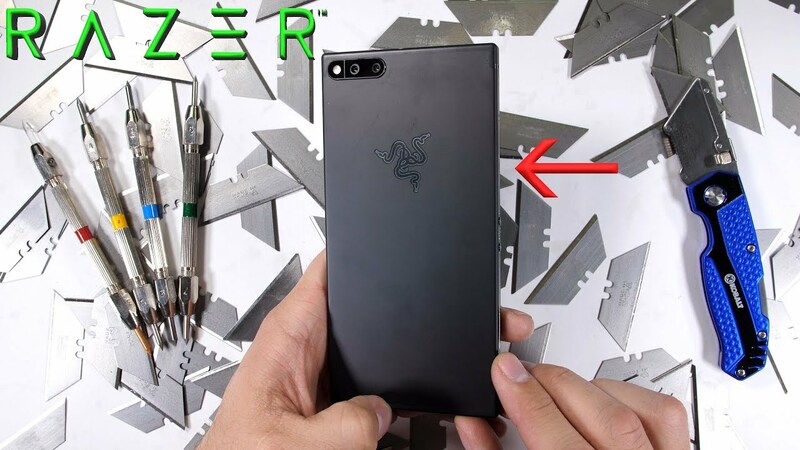 The famous torturer Zack of JerryRigEverything has finally gotten his hands on the Razer Phone, which means we get to see how well the $699 successor to the Nextbit Robin holds up. The original Nextbit Robin didn’t fare too well in Zack’s tests, as he managed to snap the phone completely in half at the volume buttons. Although this phone holds up better than Nextbit Robin thanks to its aluminum unibody construction, it still exhibits the same weak points at the power and volume buttons that we saw on the Nextbit Robin. The frame deforms at the power button when bent and snaps near the volume buttons, but the Razer Phone does survive the bend test, unlike the Nextbit Robin. The video also does a pretty good job of showcasing just how dim the screen on the Razer Phone is, as Zack mentions the phone is at 100% brightness. Also of note is that the camera lens glass can be easily scratched by the razor blade, which is unusual for lenses and suggests you’ll be more likely to scratch the glass on the Razer Phone than something like the Samsung Galaxy S8 or Pixel 2.